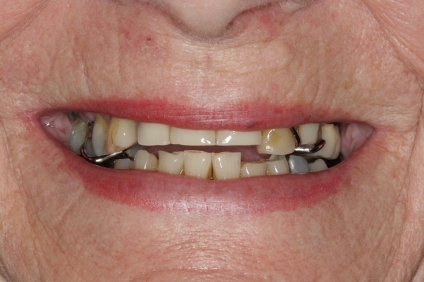 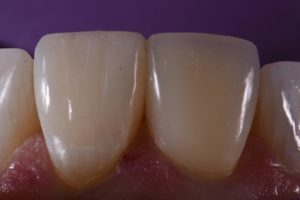 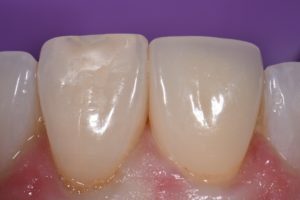 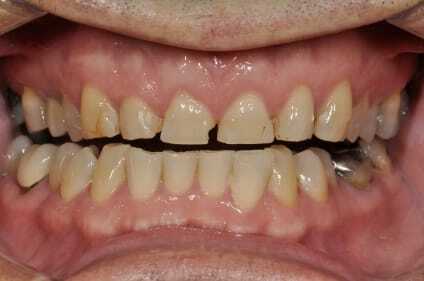 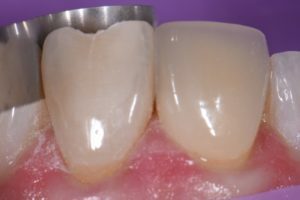 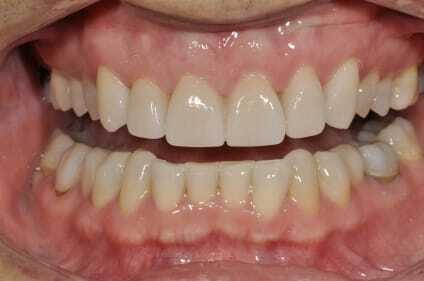 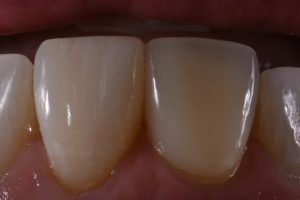 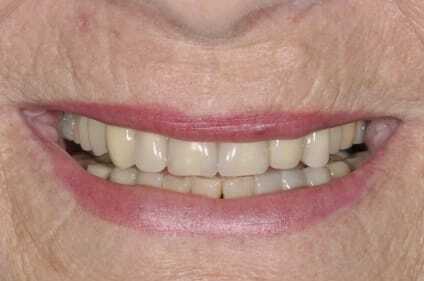 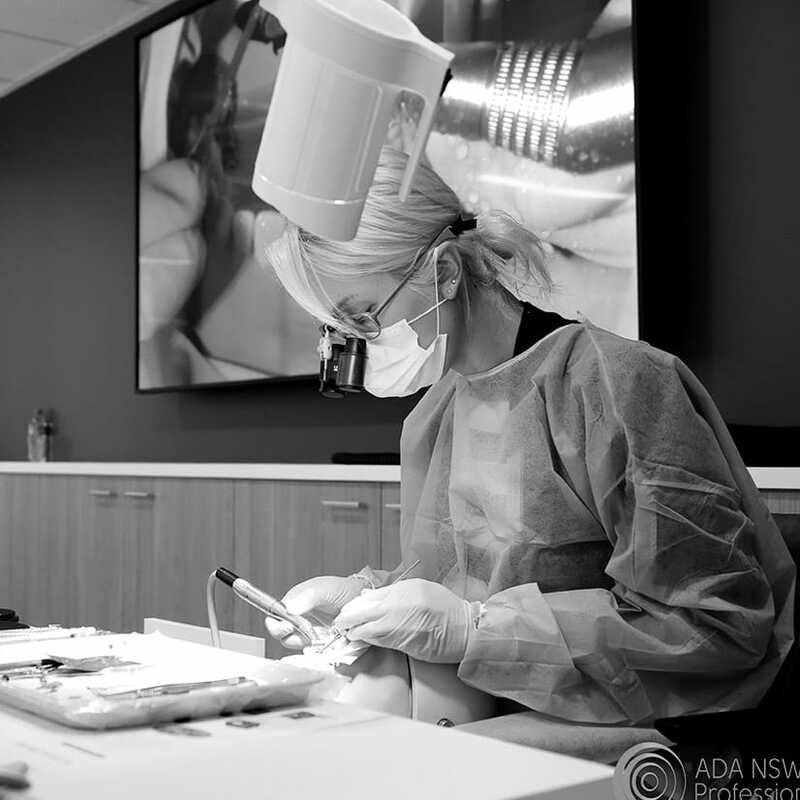 Both #8 and 9 had previously been endo treated, and a feldspathic veneer placed by another dentist on 8. 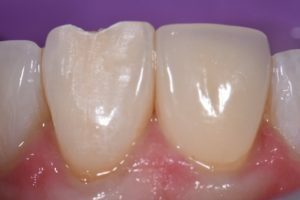 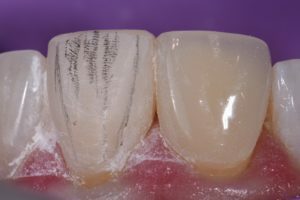 The patient wished for a more symmetrical outline form of 21 to see if she would find it “more acceptable” with a slightly lighter value before she made the decision whether or not to replace the veneer. 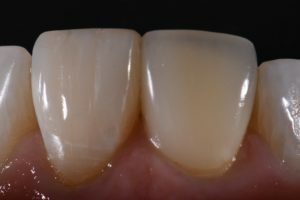 The old restoration was layered using A1E, A1D and Trans Clear.